Early morning starts designed to catch the tide in Gwaii Haanas also catch the fog for an hour or two. 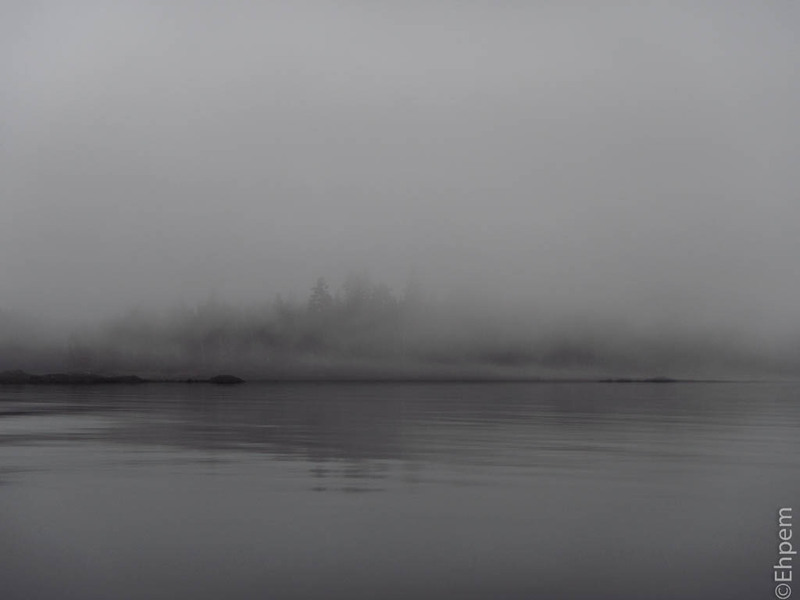 This foggy morning was shot in the narrows between Murchison and Faraday Islands. Agree that it looks spooky and beautiful. Thanks Kate. I am slowly making my way home. It will be a 6 hour journey and I have done 1 fl9at plane, 3 ferry trips and 1 bus and am now in first of two airports. BC is a big place and it can take a long time to get around. Wow! A gruelling journey. Safe travels! Thanks – I made it just fine. Always a relief to be home, eh? Very evocative and beautiful. The absence of any flying or floating objects ( ‘points of interest’ ) is why it works so well. Thanks Mario – it makes it quite spooky to ride a boat in such conditions where often you can’t discriminate the horizon from the fog and water.